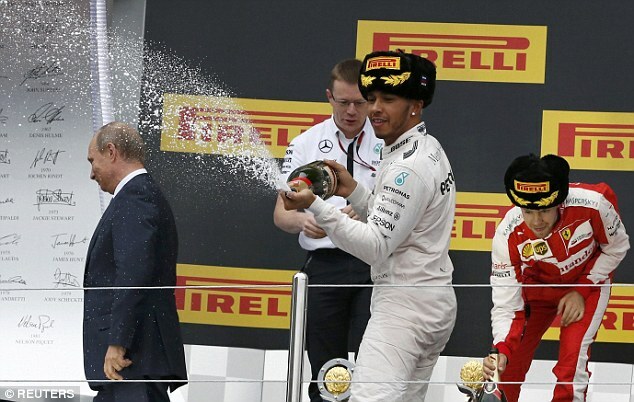 Formula One driver Lewis Hamilton has celebrated his victory today at the Sochi Grand Prix by spraying Russian President Vladimir Putin with champagne on the winners’ podium. 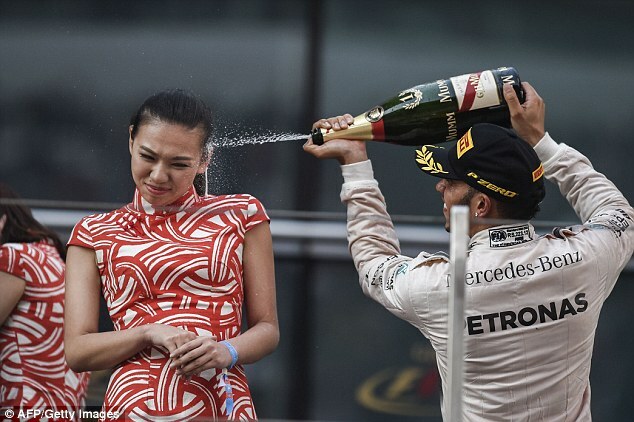 After being crowned victor of the Grand Prix race, Mercedes driver Hamilton took the moment to celebrate in his traditional extravagant style. The President had handed Hamilton the winner's trophy just moments before, after standing in silence for the national anthem. 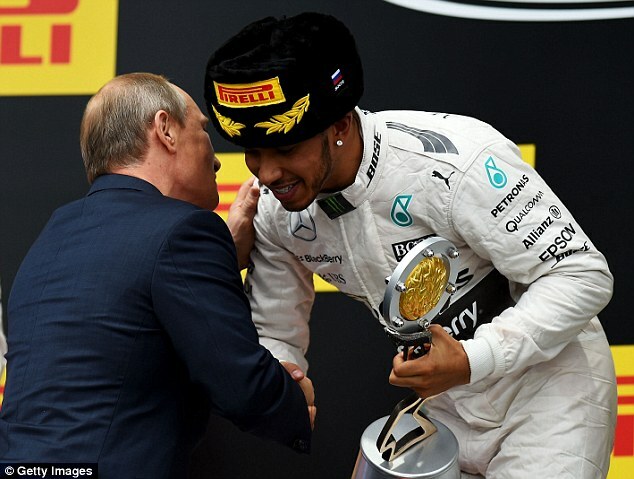 President Putin stepped up to congratulate the British driver on the podium, taking some time away from his activities in Syria to share in celebrations. 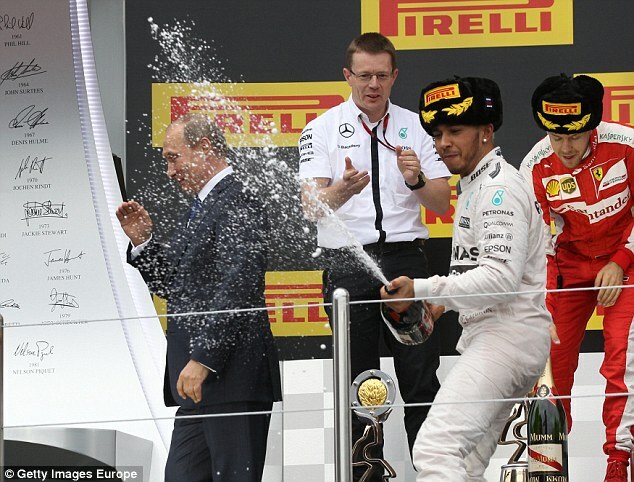 After enjoying Hamilton's moment of glory, the Russian leader was ushered off stage after a quick wave to the crowd. Viewers have been quick to turn to Twitter, posting their concerns for Hamilton’s well-being after the incident. 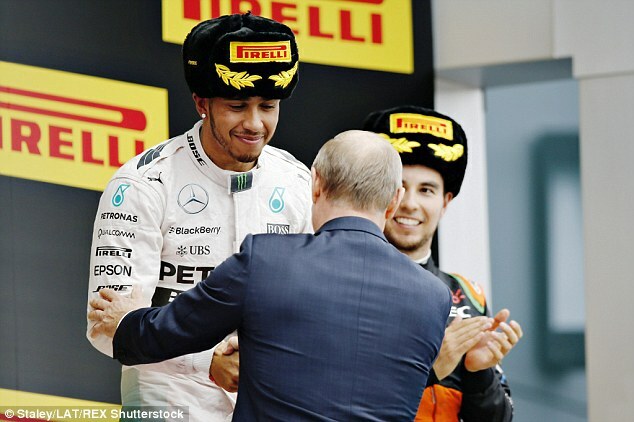 ‘Putin responds by giving his political opposition kill-squad Lewis Hamilton’s home address. Nice knowing you Lewis,’ wrote one. But the pair enjoyed more than one cosy moment at the event, and even shared a post-race hug in the drivers’ room before Hamilton headed to the podium. 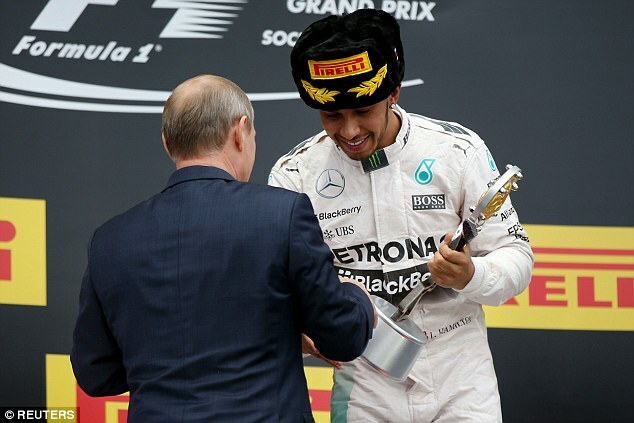 The racing driver also told President Putin that Russia is a 'beautiful country'. Hamilton is well-known for his celebration antics, although this latest comes as something of a step up from previous targets.